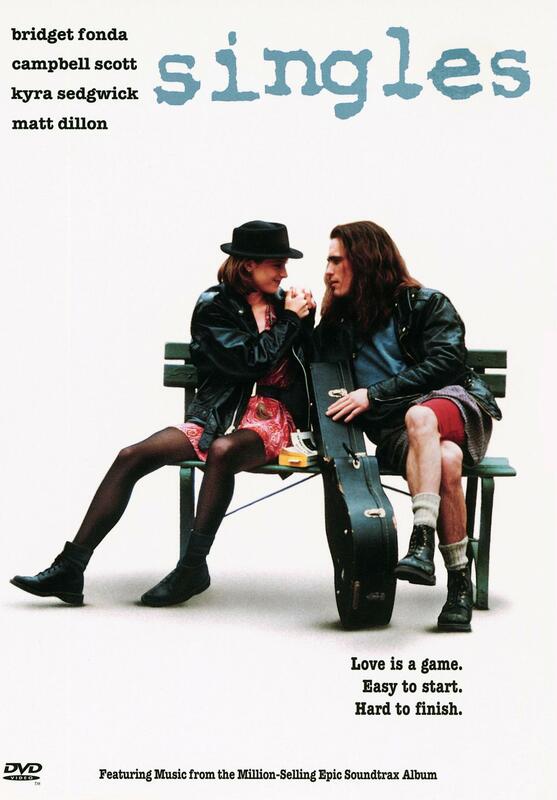 Singles is a romantic comedy, written and directed by Cameron Crowe. It was released in theatres in September 1992 and on DVD in February 1999. Eric only appears in one scene as an angry mime. Singles centers on the lives of a group of young people, mostly in their 20s, living in an apartment block in Seattle, Washington, and is divided into chapters. It focuses on the course of two couples’ rocky romances, as well as the love lives of their friends and associates. 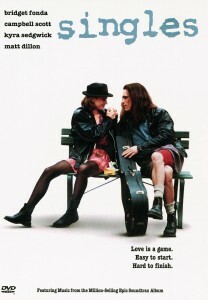 The film stars Bridget Fonda as a coffee-bar waitress fawning over an aspiring musician (Matt Dillon) and Kyra Sedgwick and Campbell Scott as a couple wavering on whether to commit to each other. The events of the film are set against the backdrop of the early 1990s grunge movement in Seattle.